Can a Deceased Medicaid Recipient’s Estate Challenge the Amount of an AHCA Lien? There is an issue that often comes up in Florida probate administration that has to do with Medicaid. As you probably know, many Florida residents require Medicaid to pay for their medical and long-term care. What you may not know is that once a Medicaid recipient dies, AHCA is legally required to try and recover any amounts it paid for the recipient’s long-term care from his or her estate. In addition, if the recipient’s injuries were the result of an accident caused by third-party negligence, AHCA can impose a lien against any civil judgment the recipient obtains against the responsible parties. In a recent decision, Al Batha v. State of Florida, Agency for Health Care Administration, the Florida First District Court of Appeal addressed the legal and procedural rights of Medicaid recipient’s estates with respect to Medicaid liens against civil judgments. Here is briefly what happened. A man was seriously injured in a car accident. He consequently required extensive medical care that was paid for by Medicaid. The man later died. His estate and widow decided to file a personal injury lawsuit against the persons they believed were responsible for the original car accident. Eventually, that lawsuit was settled out of court. The estate and the widow then filed a petition to contest the amount of AHCA’s Medicaid lien. Obviously, if the lien was reduced, that would increase the amount available to the estate and the widow from the personal injury award. But a Florida administrative law judge (ALJ) dismissed the petition at AHCA’s request. The ALJ said that under Florida law, only “recipients” of Medicaid benefits could challenge the amount of the lien. And as the recipient was now deceased, his estate and widow lacked legal standing to bring their petition. A divided three-judge panel of the First District disagreed. The majority noted that “when a person dies, his right to an existing cause of action does not die with him.” Rather, the personal representative effectively steps into the shoes of the deceased man and may bring or continue the action. Given this, the majority reasoned the personal representative qualified as the “recipient” for purposes of challenging the amount of the Medicaid lien. Dealing with Medicaid and other creditors is just one of many tasks the personal representative of an estate needs to deal with. 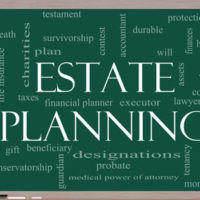 If you are administering a Florida estate and need legal advice or counsel from a qualified Fort Myers estate planning and probate lawyer, contact the Kuhn Law Firm, P.A., at 239-33-4529 today.